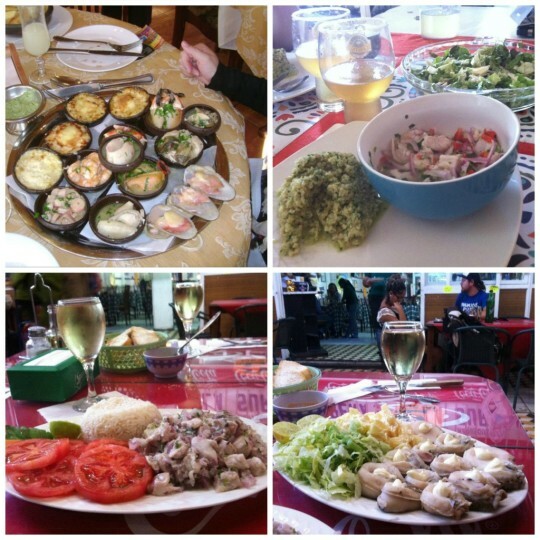 I took a few cooking classes, bakery, cupcakes, catering, Christmas dinner preparations, even once I thought about becoming a professional chef, but I ended up working in something completely different and teaching anthropology of food for undergraduates at a University in Santiago. 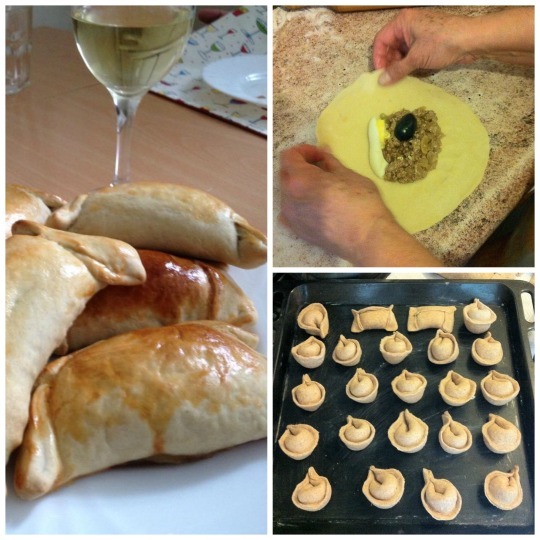 Empanadas: I made a few last year; at the top, my Mom is filling a traditional Chilean “empanada de pino”; at the bottom, some tortelloni looking empanadas. Once I decided to change career paths and I came to London I realized I could start thinking seriously about food again. Thinking about food or eating as a social practice is now part of my research interest. 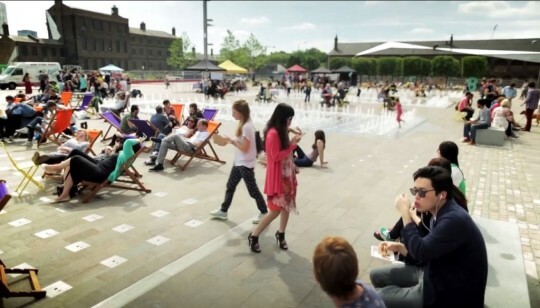 I’m working on street food markets in London for my PhD project, and I’m connecting my interest for food with other sociological topics such as urban space, production and consumption, and cultural industries, in a great diverse and multicultural city. When I first arrived in London I was surprised by the sophistication of street food markets. Lots of traders are experienced cookers and they put a lot of effort into developing great recipes, fusion food, ethnic food, or just comfort food very well prepared. Most of them are not alone; they are usually part of a market or trade in the street with a group of stalls or vans. Through many visits to street markets I realized that street food in London is related with the way people enjoy being on the street, enjoy the city, and how they can build and create a business from these experiences of eating and sharing food in specific settings. My journey on researching street food in London has just started. I consider that this year will be crucial to carry on my fieldwork (which I hope involves a lot of eating) and learn about the production of the street food scene. Previous Previous post: What are you doing with your old technology?